Star Wars crafts for kids? Yep, the kids are practically foaming at their mouths to see The Force Awakens or they’ve watch all of the other movies something like a zillion times (I’ve been there too). 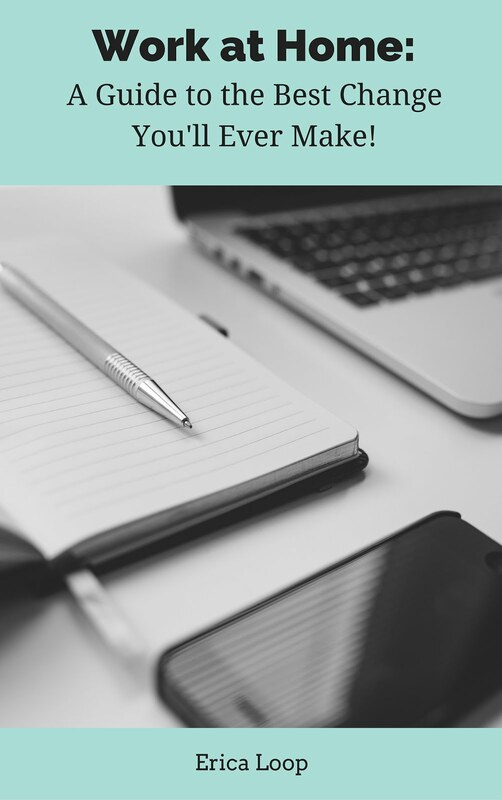 You’ve managed to buy up every piece of movie merchandise that you deem reasonable, and now the kids want – more? 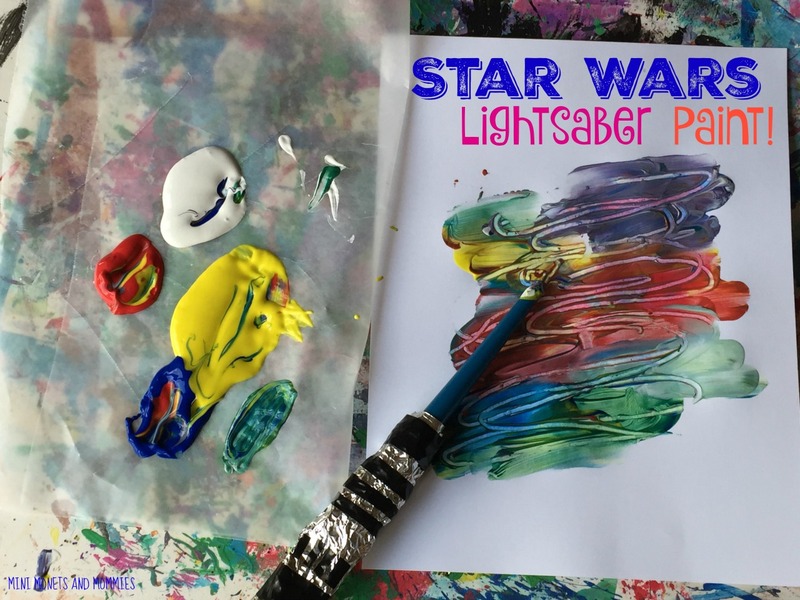 Your junior Jedi can try out this lightsaber painting project. If lightsabers and painting aren’t exactly two things that seem to go together, you’re line of thinking is probably right. But, it’s also entirely possible. I’m not talking about using your child’s precious play lightsaber to get artsy. Instead, he can transform a paintbrush into one that looks like the Star Wars movie staple. How? 1. Tear a sheet of foil off of the roll. Fold it in half. 2. Place the paintbrush (brush side towards the bottom) at the end of the folded foil. Your child will cover the brush part and paint with the opposite end. 3. Fold the foil around the brush, creating a few layers. Your child only needs to cover half of the paintbrush. The foil is the lightsaber’s handle. 4. Use the tape to add accents to the handle. Cut the tape into pieces and wrap it around the foil. Your child can craft any designs he wants to. 5. 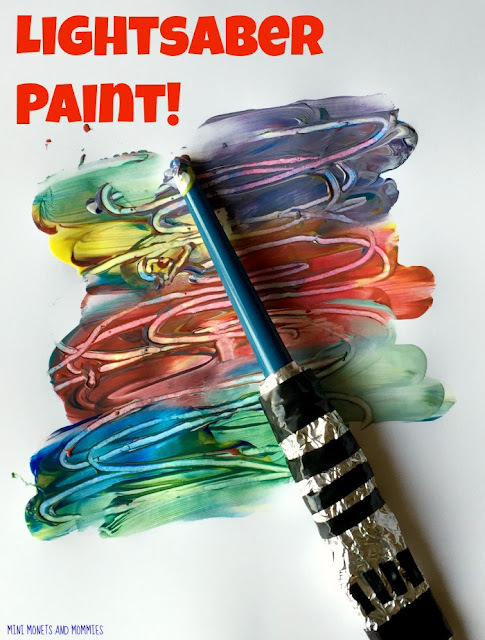 Pour a few pools of paint onto a paper plate or make a wax paper palette. 6. Finger paint the tempera onto the paper. 7. Use the lightsaber to ‘draw’ in the paint. Make abstract patterns, designs or create a favorite character from the Star Wars movie (who doesn’t like Chewbacca in paint?). 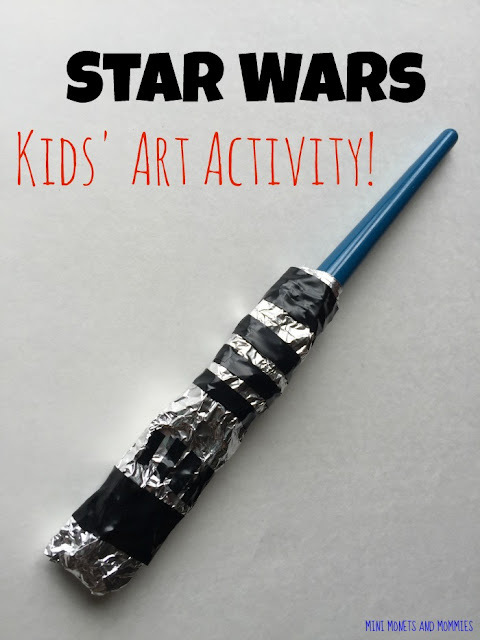 And, there you go – Star Wars crafts for kids! Your child can also use the end of the lightsaber to directly paint with. Just dip it into the paint.